As Hurricane Sandy pounds the East Coast, tens of thousands of seniors living in their own home have been left without power, phone or heat. Seniors stranded at home during a natural disaster of any kind can be fearful and in additional danger due to chronic medical and weakened physical conditions. Having a plan in place to check on senior loved ones during a natural disaster can allow family caregivers to rest assured that their elderly loved ones have a network of individuals who can help keep them safe when Mother Nature causes a disturbance. 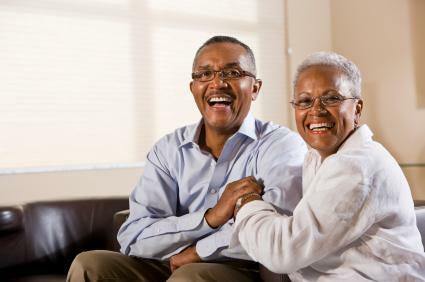 Seniors enduring a natural disaster can benefit greatly from a support system that is available to check on them and ensure their overall wellbeing during power outages, floods and cold. Both friends and family, as well as a homecare provider using a reliable homecare software or homecare system to manage the care of their clients. Family & Friends: Nearby friends, neighbors and family can be a trusted source of support for seniors during a natural disaster. Having a trusted neighbor swing by to ensure seniors have flashlights, food and warmth or cooling can be source of relief when family caregivers are unable to make it due to poor conditions. Homecare software or homecare systems, like ClearCare, can help homecare agencies and family caregivers keep track of nearby friends and family who are members of a senior’s care circle. In-Home Caregivers: Caregivers with a home care agency that utilizes a cloud-based homecase software or homecare system can keep their business going even when power is out at the office. With accessibility from mobile devices or any web-enabled computer, ClearCare’s homecare software and homecare system can keep caregiver’s schedules going and allow administrators to pull up information on seniors who can’t go without some help – no matter what the conditions. And with mobile phone clock-ins, caregivers can still use telephony to check in via a homecare software or homecare system, such as ClearCare, and ensure that the status of their clients is readily available for administrators and family caregivers to check on via secure homecare system web logins. Emergency Personnel: In the worst case scenario, when nobody can make it to the home of a senior, homecare software or a homecare system, such as ClearCare, can help agency administrators identify at-risk clients and communicate emergency needs to rescue personnel. This ensures that even in the worst of conditions, those trusted with the care of a senior are able to dispatch help – in one form or another. Hurricane Sandy won’t be the last nasty storm this winter, but with a little preparedness and the technology of a homecare system like ClearCare to manage care, seniors can rest assured that their care network is available – even in the worst conditions. For more information on utilizing home care software in emergency preparedness, see our previous blog posts here.